Boy, you're just begging for it aren't you? What a sad-sack sh!t life you must lead, getting your jollies this way. Your bad reputation is higher than your post count, who do you get to brag to,about that? If this is what this forum is all about, I'm moving on. I thought that last one was actually kinda funny. He's become a parody of himself. Did not really miss anything, but the blocking does work, thanks. What a train wreck. I have had the unmentionable froggy blocked before, but now blocked again.. I wish a moderator would do something before damage is done to a new player.. I can feel the sexual tension in this thread. I wish a moderator would do something before damage is done to a new player.. I don't see where any rules are being broken. If any of you see it differently, please let me know and I will look into it. How about the fact that anyone new that comes to this place with a question about Epiphones will immediately be bombarded with false information and constant trolling in every thread? Other forums realize this and ban him, but apparently it's not frowned upon here. This place is a joke. Keep up the good work. If the past few posts and comments on this thread from the Jack azz don't come as a form of spamming, what do? 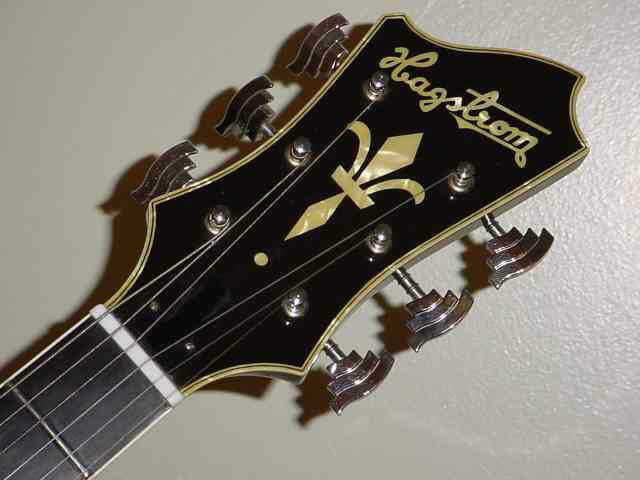 Whilst like most people on the forum I commend the job you mods do, surely part of it is upholding the gibson brand name where possible, by stopping the spread of misinformation, he is solely intent on ruining any opinion on modern epiphone guitars and making this part of the forum completely unuseable. It's also done in an incredibly unintelligent way. I went years without posting here (busy at work, at home, and even playing my guitar), but people who have been here a long time will remember a character called Uncle Al/Mr. Nelson, who had the same bee in his bonnet as Rev 6. Every time a new member posted a picture of a recently acquired new Epiphone, out came the tart response about a "Chinese copy." The difference was that Mr. Nelson was clever and witty, and actually had a remarkable knowledge of 1960s Epiphones (he famously wrote a detailed thread about the origins of the Sheraton that was more than worth the 30 minutes it took to read it). In the end, though, people just wearied of his ceaseless drubbing of modern Epiphones. Then he got into flame wars with other members, and then he got banned. Rev 6 is actually far worse than Mr. Nelson, because, in his more sanguine moments, Mr. Nelson had some useful knowledge to impart. All this clown does is post endless threads of photos of modern (Japanese) Epiphones he has found online, in order to celebrate them as superior guitars to their Qingdao-made stablemates; or he posts photos of Qingdao-made SGs in order to "ask" about the finish, and then studiously ignores the advice that other people provide on that topic. It's dull and mindless and annoying. Guitar forums exist for enthusiasts to share knowledge and, well, enthusiasm for the instruments they play. If someone doesn't have anything to contribute to that purpose, then why are they here? That certainly isn't to say that only highly knowledgeable people, or only people with a profound love of Epiphones should post here. But if the only reason a person joins a forum is to bash the product made by the forum's owner, then I think the mods should ask themselves whether that person really needs to be here. Imagine going on a Ford forum in order to post endless pictures of 1960s Mustangs you don't own whilst complaining "all modern Fords are rubbish," or to celebrate GM cars over Fords at every turn. What do you think the mods would do once other members became irritated?